The "Golden Chili Mug" isn't just Blanche Devereaux's face after a wild time at Wendy's. It's also the lusted-after prize taken home by the winner of Chilifest, which's going down in a 500ft-long corridor in Chelsea Market. 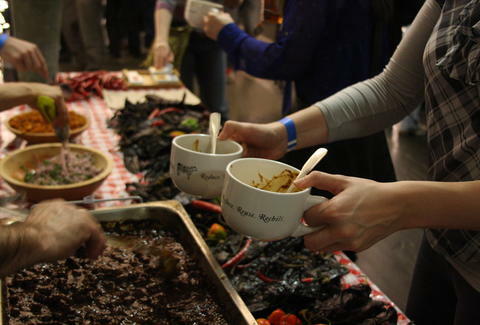 As you drink paired beer and enjoy live music, Dickson's Farmstand meat and oh so much more will be dropped into bowls by some of the city's most exciting chefs, including some from Ducks Eatery, Fatty 'Cue, Perla, and The Wayland.